Ready to be at the leading edge of the fitness industry? THE TRIP™ is a cycle workout that’s like nothing else. It’s more than just cardio training - you lead your class on a fully immersive adventure into new dimensions. Fill out this form for access to your Instructor brochure, training dates and all the other details you need. We focus on creating the world’s best training programmes and developing the world’s best Instructors to teach them. As a Les Mills Instructor, we support you with research, marketing and new workouts every three months. You get to share great music and cutting-edge science that helps people fall in love with fitness. You also become part of our tribe of 130,000 certified Instructors in 100 countries around the world who bring our workouts to life every day, inspiring millions of people to get moving every week. We’d love for you to join us. Get Started. 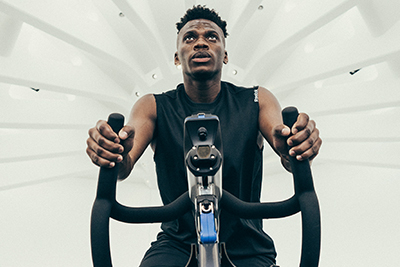 Ride the future with THE TRIP, a fully immersive multi-peak cycle workout that puts you at the cutting edge of exciting new fitness experiences. 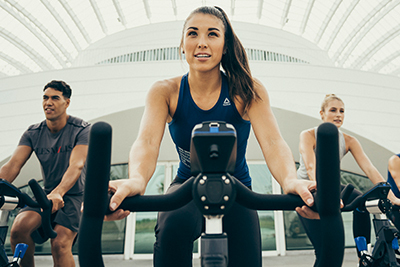 A world-leading cardio peak cycle workout, driven by epic music, RPM brings you closer to your class members and keeps you fit for life. An intense HIIT cycle workout, in LES MILLS SPRINT you drive people to find their maximum and coach them to achieve proven results, fast.